U.S. News ranks "Financial Advisor"
To attract and grow a strong team, John Driscoll & Company has built a positive and supportive organization dedicated to individual and company success. We invest in our people. And for those who choose to join us, the rewards go beyond the potential for significant personal financial gain. A career with us allows you to work with people, help improve their financial lives and make a lasting difference in the communities you serve. To put our firm in a strong market position, we chose to affiliate with Guardian. For over 150 years, Guardian has helped protect individuals, businesses, and their employees with insurance and other financial products. They have delivered stable performance—even during turbulent economic times. It’s the type of company you want and need working side-by-side with you. WHY SHOULD YOU CHOOSE A CAREER WITH US? The Guardian Network® is a network of preferred providers authorized to offer products of The Guardian Life Insurance Company of America (Guardian), New York, NY, and its subsidiaries. John Driscoll & Company, Inc. is an independent agency and not an affiliate or subsidiary of Guardian. 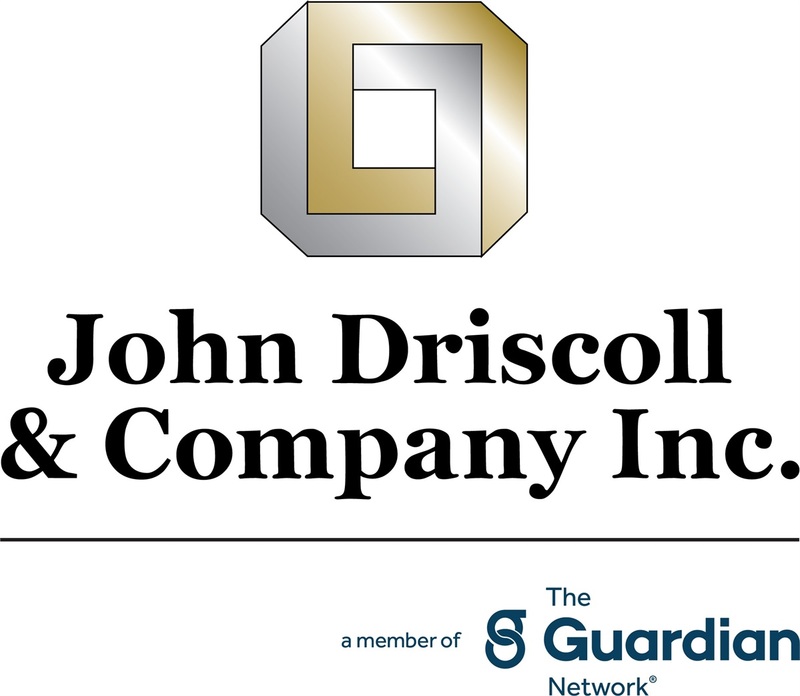 John Driscoll & Company is an Agency of The Guardian Life Insurance Company of America (Guardian), New York, NY. PAS is an indirect, wholly-owned subsidiary of Guardian. John Driscoll & Company is not an affiliate or subsidiary of PAS. John Driscoll & Company, Inc.